Street Chant is a band from New Zealand that I had never heard of before until an e-mail dropped into my inbox with an invite to listen. So I did and from the first song at the first listen my ears picked up this indie rock in a rare mix of music: a positive slacker song called 'One More Year'. Time to start paying attention and I was not disappointed. Hauora, from the Mãori word for the four aspects of personal health - spiritual, physical, mental and social, is Street Chant's second album after 'Means' (2010). Six years is a long time for a band not to release an album. Usually an album is called a comeback album after such a period of time, but that somehow does not sound befitting after just one album. In these years the band lost one member. The guitarist/bass duo Emily Edrosa/Billie Rodgers are the constants in the trio. Christopher Varnham is the new drummer. Edrosa sings with a somewhat bored sounding voice, more because of the deep end of her voice she chooses to sing with then of actual boredom it seems. The overdubs in a higher register attest to that. And there's Billie Rodgers on backing vocals of course. That the band once upon a time toured with The Lemonheads is far from strange. The indie rock songs with a hint at pop are certainly influenced by bands from that era, Buffalo Tom being another reference. Boston in the first half of the 90s. An almost forgotten era in indie rock. Underneath the songs of Street Chant is a hard hitting drummer. Christopher Varnham has a background in punk music and that shows. Together with Billie Rodgers he lays down a firm rhythm in which Emily Edrosa feels extremely well. The three together create a tight sound from which the vocals, lead overdubs and a thin sounding organ are allowed to escape from every once in a while. 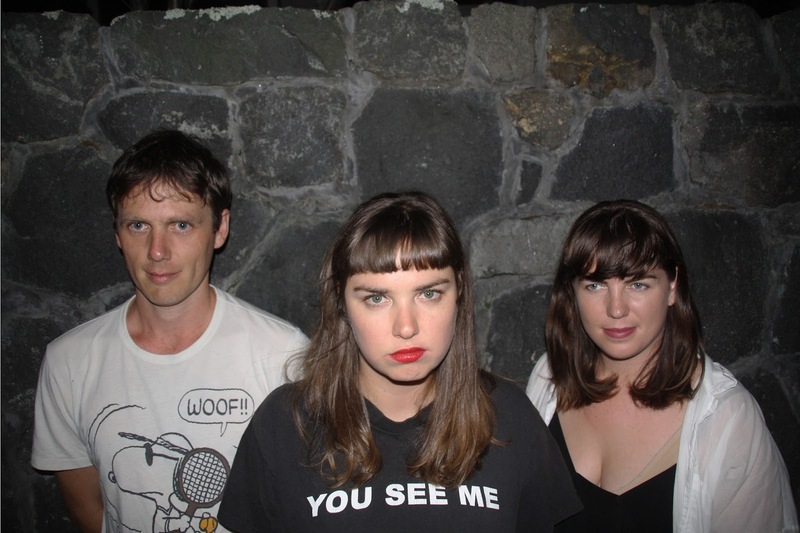 Street Chant may actually be back right in time as in the past two, three years so many indie rock, punky female fronted bands released records, that it encounters a made up bed around the world. On the other hand this makes sticking out a lot harder. The difference is not made in the songs. Most are more than okay, but not outstanding. It is made in the singing -the vocals are direct and in your face- and in the tight playing. A lot of the bands out there in the past few years have what I tend to call The Shangri-Las factor. That dreamy element in the presentation and singing. Not Street Chant. The band has a punk edge that keeps it firmly tight. Even when the band moves into the Warpaint direction in 'Melbourne', the vocals remain a bit sneery. The introduction to Street Chant is a pleasant one. A lot is going on on Hauora and for those who like their indie rock to have a punky edge, this is just the album to check out.